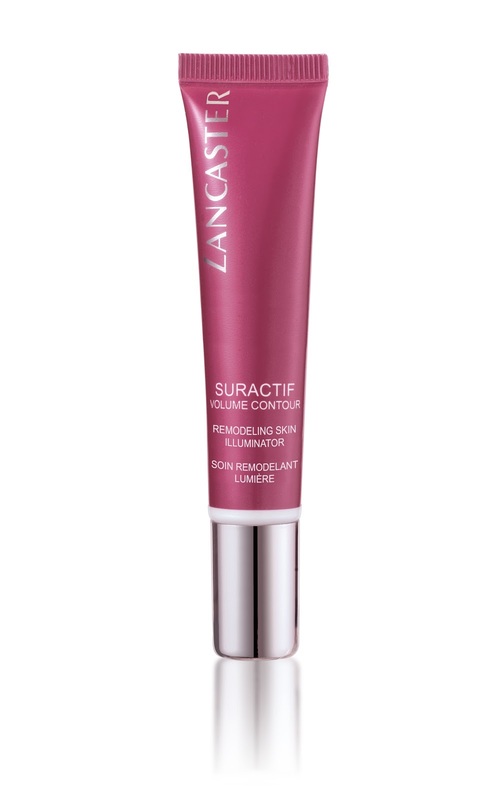 Ruqaiya Khan: SURACTIF VOLUME CONTOUR Lancaster's firmness solution is back! SURACTIF VOLUME CONTOUR Lancaster's firmness solution is back! 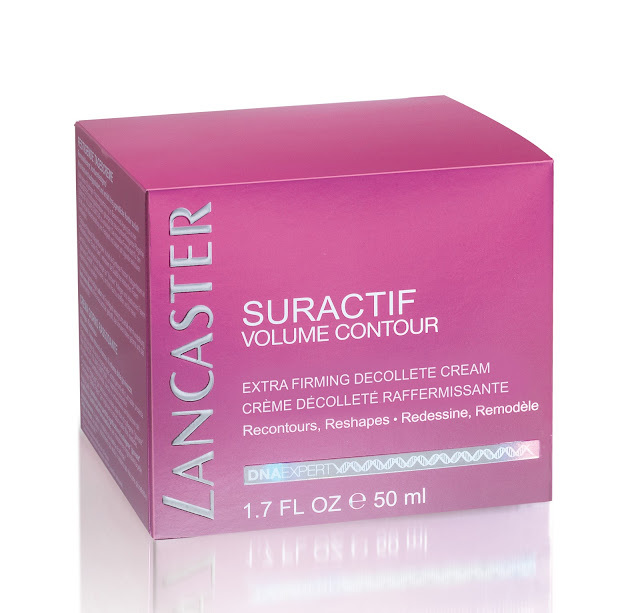 SURACTIF VOLUME CONTOUR, the latest skincare line by Lancaster, has recently sparked a genuine revolution in FIRMNESS. Inspired by the Nobel Prize in Chemistry 2004 on protein degradation mechanisms, the researchers at Lancaster focused on proteasome and discovered that reinforcing the activity of this natural "recycling system" could boost collagen production. They developed the Proteacol Complex, a combination of key active ingredients that acts to reinforce the activity of proteasome and boost the production of "fresh" collagen. Thanks to the role of Proteacol Complex, which acts on the production of new collagen fibers, combined with the Elastic Fiber Complex, which stimulates production of components essential to improving the quality of new elastic fibers, Lancaster researchers have, for the first time, developed a new approach to firmness by targeting both the QUANTITY and QUALITY of fiber production in the skin cushion. This performance has been clinically proven to help improve firmness and praised in situ by women seeking for greater firmness. 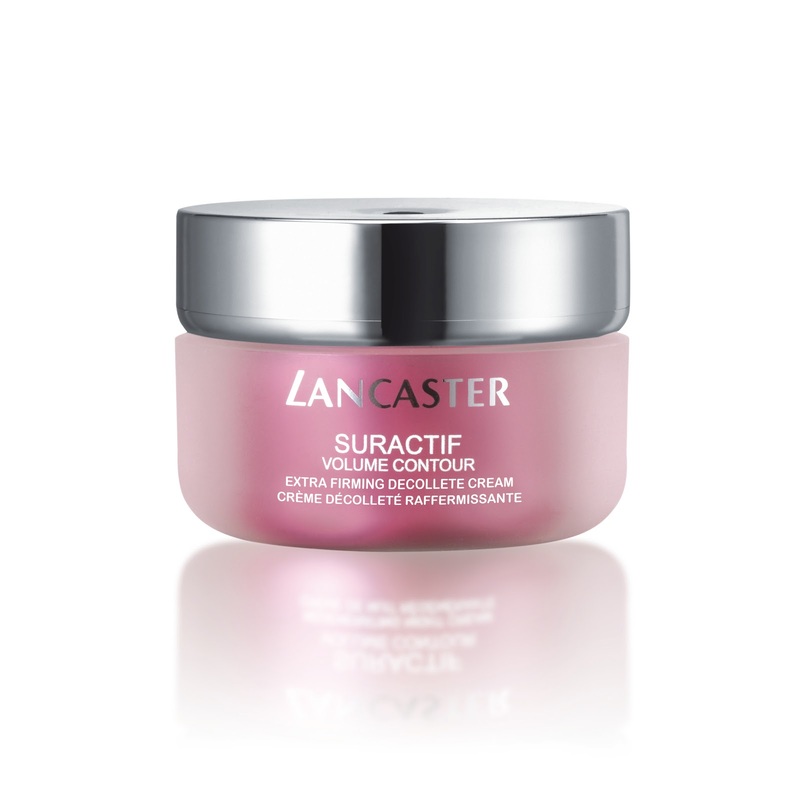 The heart of the SURACTIF VOLUME CONTOUR range: Lancaster Laboratories highlighted the major role played by proteasome, the "recycling and protein regulation system" inside each cell. It’s a sort of "food processor" that grinds damaged or modified proteins and breaks them down into basic elements – peptides, amino acids – so that they can be reused to make new proteins. Over time, the activity of proteasome diminishes, and non-functional "waste" accumulates. Thanks to the Exclusive Proteacol Complex, made up of a micro-algae extract, peptides and peptide extract and a soy extract, and which also significantly restores the activity of proteasomes. With the Elastic Fiber Complex, which combines a Kigelia Africana fruit extract derived from a tree indigenous to Africa and a specific dipeptide to optimize the architecture of new elastic fibers. The neck and décolleté are one of the most delicate areas of the skin. It is particularly thin but often forgotten in the daily beauty rituals. The neck and décolleté deserve more attention. The surface of the skin in this area is particularly sensitive to photo-aging and easily folds with age. Result: the lack of firmness is seen on the décolleté as much as on the face. Aware of the specific needs of this very sensitive area, Lancaster Laboratories has developed a made-to-measure formula for the décolleté. It is much more than a mere adaptation of the SURACTIF VOLUME CONTOUR range, Extra Firming Décolleté Cream benefits from a high concentration of Kigelia Africana extract on top of the action of the Proteacol Complex. In the heart of the Extra Firming Décolleté Cream, the KIGELIA AFRICANA fruit extract plays a major role. Indigenous to Africa, particularly Senegal, the Kigelia Africana is a tree whose fruit and specifically fruit pulp are especially used in daily beauty treatments: among the Lebou of Cape Verde, matrons use this pulp on young women to give them a voluptuous bust. This extract, rich in flavonoids and steroidic saponosides, is combined with a specific dipeptide and provides invisible support for the bust. In addition to the proven performance of its active ingredients, Extra Firming Décolleté Cream features an arsenal of other ingredients with immediate action to optimize results as soon as it is in contact with the skin. Enriched with a special complex for an immediate tensing effect, the generous texture is absorbed instantly. It also contains a perfecting agent that helps tighten the skin's texture to enhance this area of the body. The décolleté can finally regain its youthfulness! A lack of definition in the shape of the face is not the only problem resulting from the loss of skin firmness. Over time, the surface of the skin which slackens and cannot reflect light as it did before. Lancaster Laboratories set out to create an optical solution. Hybrid skincare that borders makeup and can illuminate the complexion to restore the light of its youth. To diminish wrinkles immediately, Remodeling Skin Illuminator concentrates two types of pigments. A combination of reflective pigments to reflect incident light, made up of "intelligent pigments" that change color depending on the angle, silver liquid pigments in regular crystal forms for a subtle shine and metallic pigments made of mica coated with iron oxide for a healthy glow effect. Functional filler pigments bring a soft focus effect. These spherical particles act as wrinkle-fillers and reflect light in all directions. In addition to giving the face a luminous aura of beauty, Remodeling Skin Illuminator contains hyaluronic filling spheres that capture the water evaporated from the surface of the skin and swell like sponges. The skin instantly appears softer and plumper. Very often, skin illuminators cannot be layered with other products. Once in contact with another formula, they start to pill on the surface of the skin. Aware of the difficulties faced by women who want to continue using the full range of their firming skincare, Lancaster Laboratories has developed a formula that is perfectly compatible with the rest of the SURACTIF VOLUME CONTOUR range. As a result, they no longer have to choose between a perfect makeup appearance and the performance of in-depth treatment. Furthermore, it can be applied either to the entire face after the day cream or in subtle touches on makeup to give radiance to the complexion.